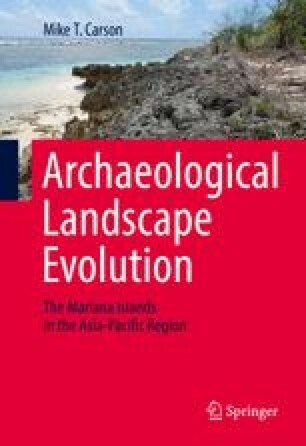 Archaeological research has confirmed that the first ever human settlement of the Remote Oceanic world occurred in the Mariana Islands at least as early as 1500 B.C., followed by a series of periods with evidence of changing forms and styles of pottery, other artefacts, housing structures, food resources, land-use patterns, and other elements of an inhabited landscape. This long-term record provides the central narrative of this book, but first its general parameters need to be identified in terms of what can be learned about landscape evolution. Archaeological heritage sites today are considered essential parts of the Marianas landscape, revealing how the inherited ancestral past affects all later generations.